This was an interesting project, maybe not so much in terms of the end product, but more for learning how to make something out of rubbery foam. 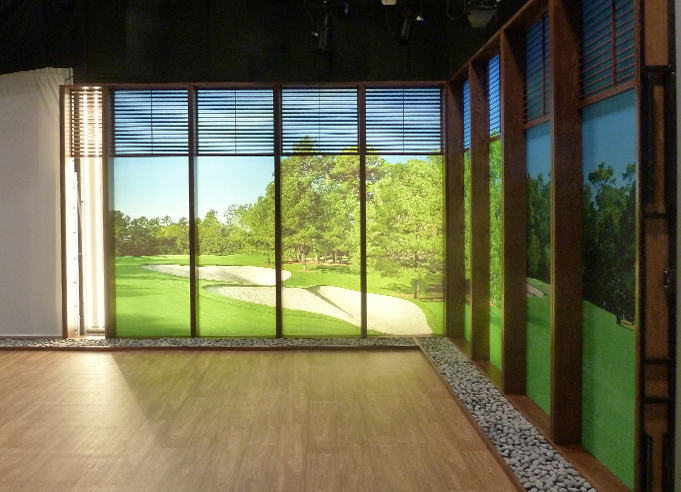 Foam was specified so as to dampen collisions with golf balls, as this will be used on a golf-related TV set. 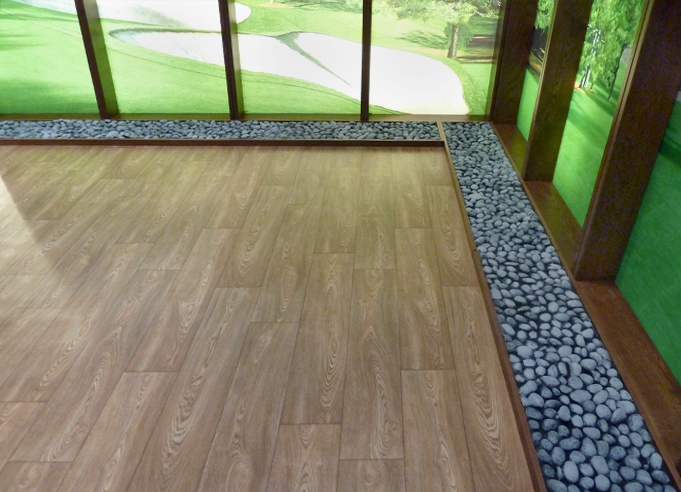 The profiles at each end of the tray match, so that the completed floor sections will tessellate. 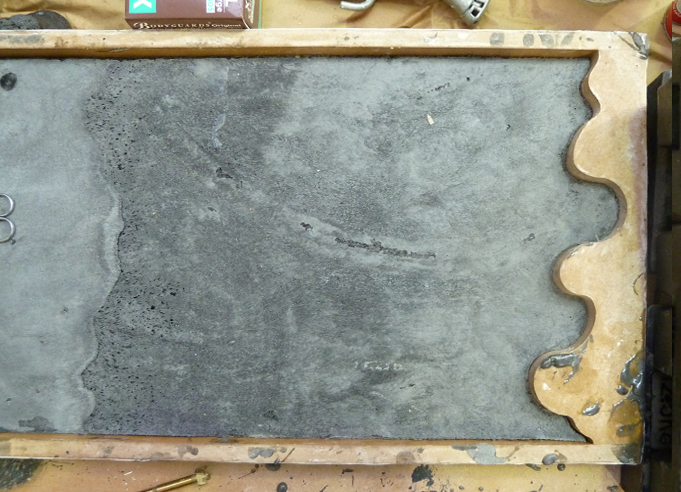 Resin was added, after a coating of mould release. 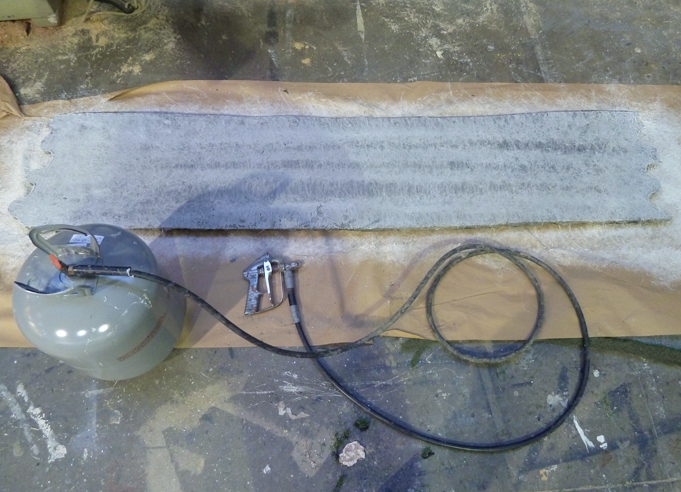 Fibreglass is a nasty material to work with - the fibres get into the pores of any exposed areas of skin and itch terribly. The fibreglass guys at a company I previously worked for were all referred to with "Itchy" as a prefix to their name, indicating the material they worked with. For example, I have been informed that the Christmas party next week will be attended by Itchy Steve. 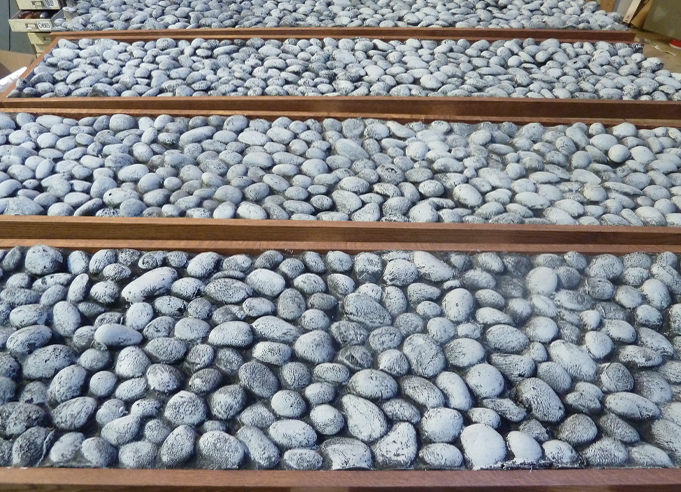 Combined with the resin, it's a modern equivalent of being tarred and feathered. 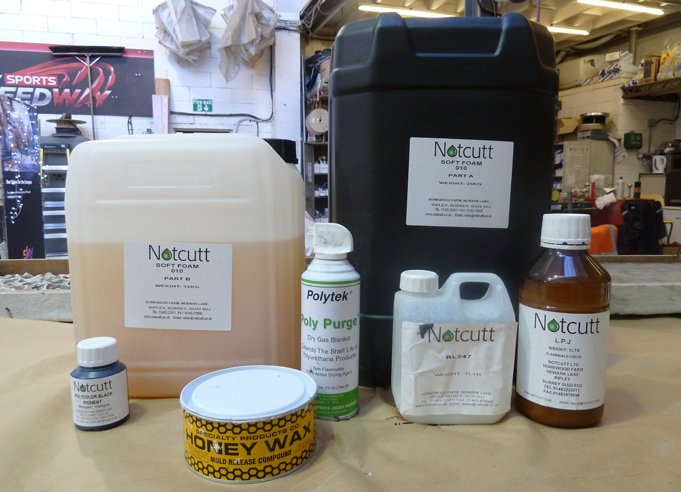 Left to right: pigment, foam resin part B, wax mould release, nitrogen spray to prevent oxidation of resins during storage, foam resin part A, more mould release agents. 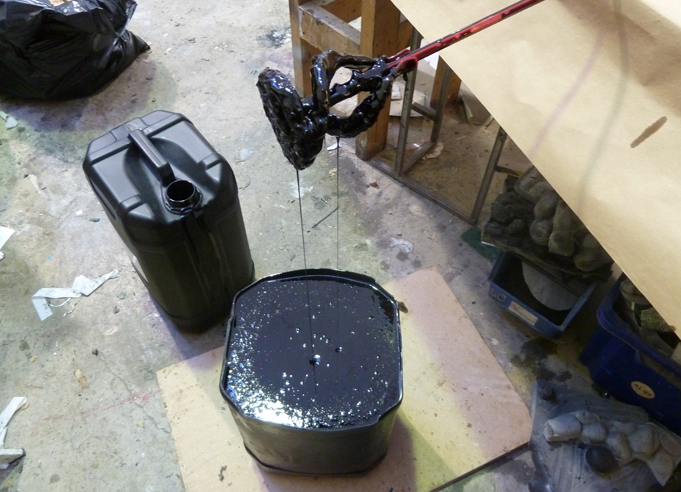 Pigment was mixed with the whole barrel of foam resin component A, to ensure a consistant colour throughout. 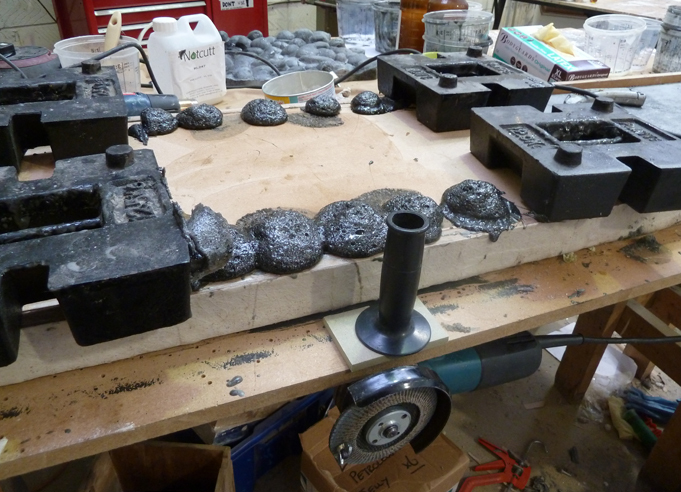 Grinder vibrations didn't make any difference removing bubbles as foam goes off too quickly and is too sticky. 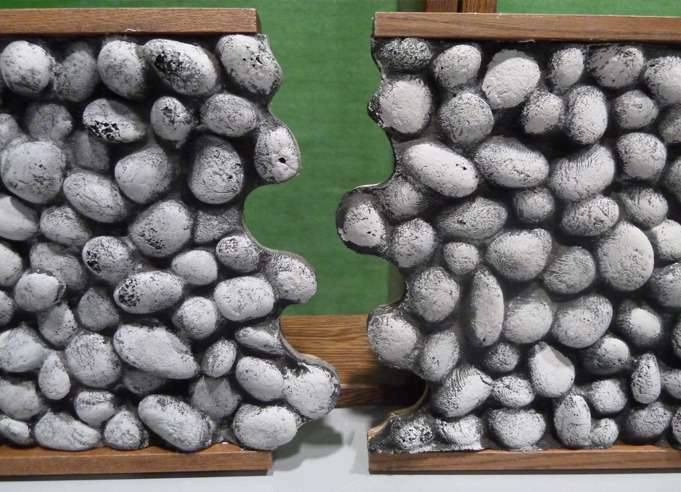 Heating resin components with heat gun had a much better effect. 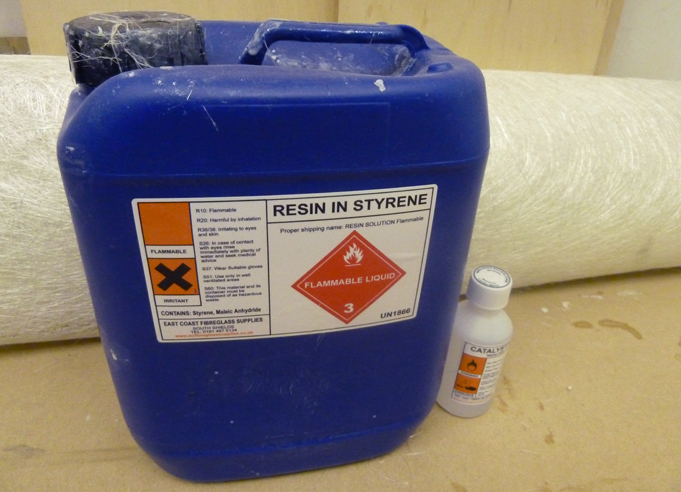 About 750 mL of foam resin was mixed up per batch, A:B 2:1 ratio by weight, using digital scales covered with cling film. The resin starts off with the consistency of washing up liquid, but begins to froth about 60 seconds after mixing with a drill attachment. 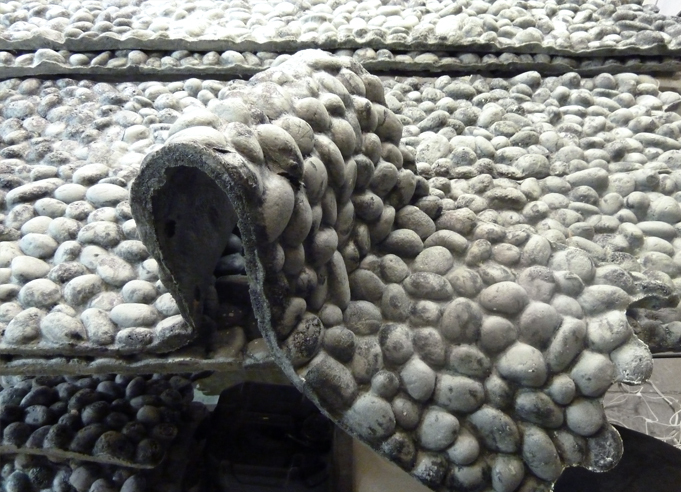 The mould was filled in about four or five batches, with the foam expanding to at least three or four times its volume in around 4 minutes. A great practical joke would be to pour about 2 gallons of the mixture into a coworker's overalls. 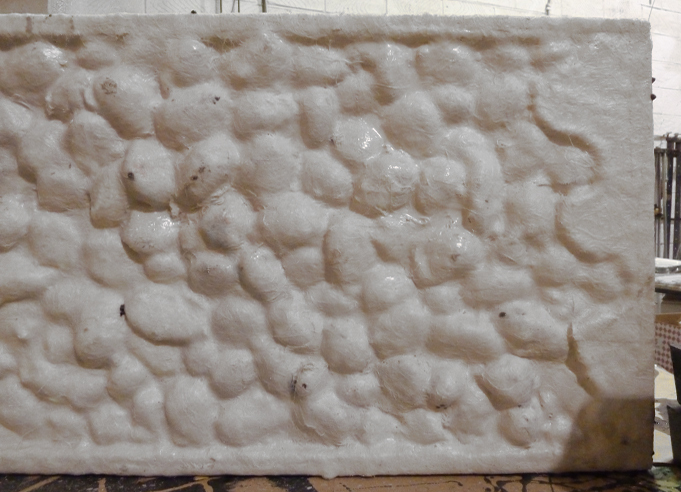 After 6 minutes or so the foam has lost its surface stickiness, and its possible to peel back the 'lid' from the mould. 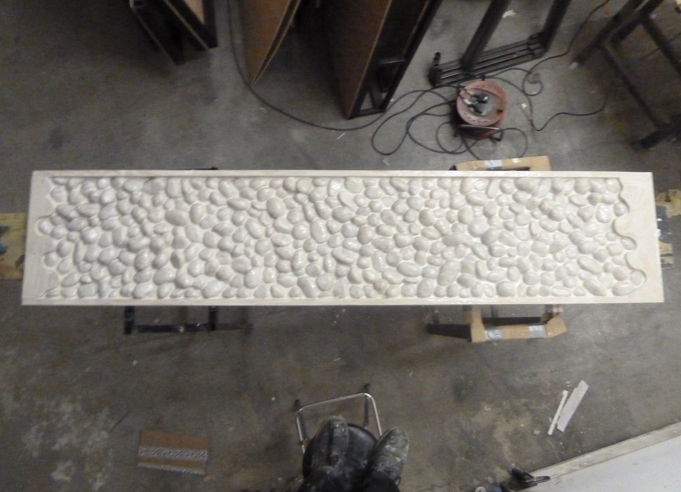 The final centre section is cast with holes to relieve the pressure of the foam, which is surprisingly powerful, being able to lift stage weights. 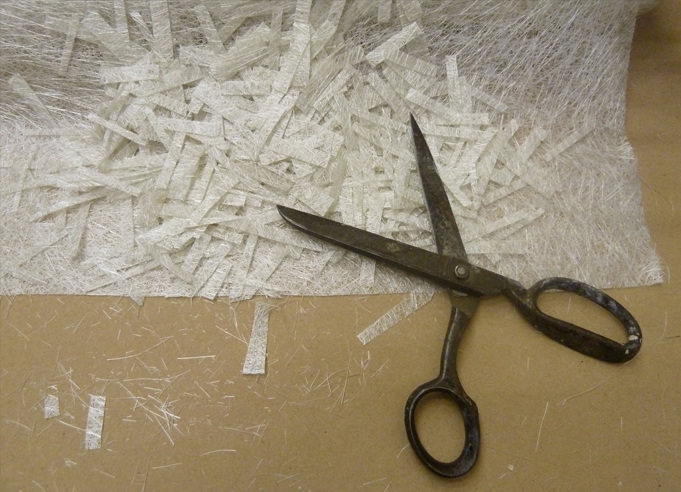 Each batch of foam adheres to the previous section very well. 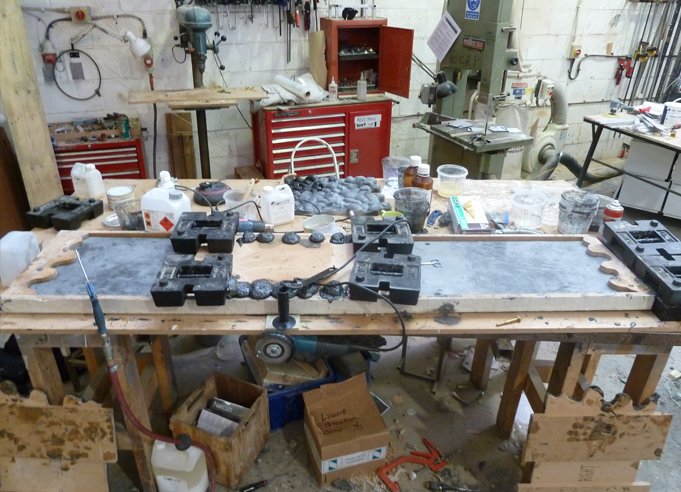 Once the foam sections have been removed, all of the mould components are given another coat of release agent. 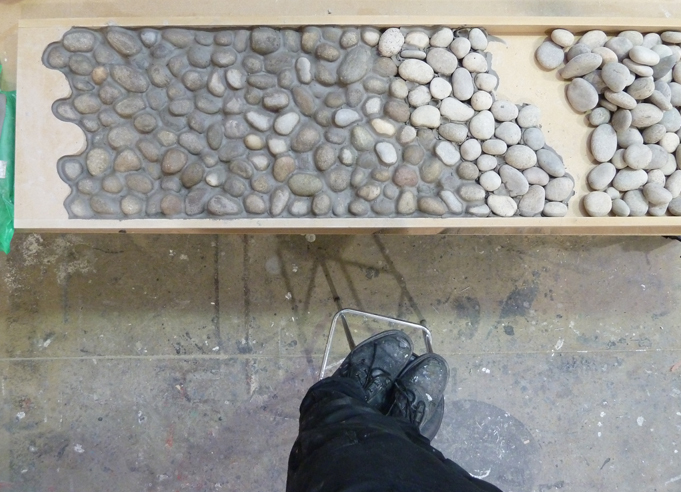 The rock sections were painted and then glued into trays, ready to be placed around the perimeter of the set.